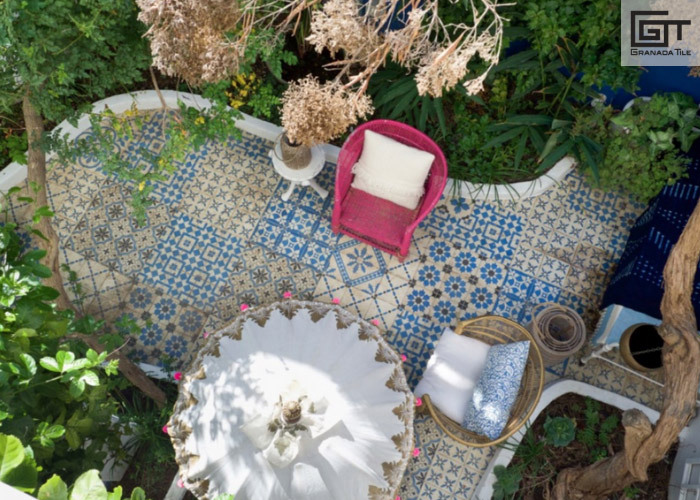 Patchwork tile designs have taken the design world by storm; top magazines and interior designers around the world are falling in love with the eclectic mix of stunning colors and patterns. Incorporating patchwork tile designs into your home or business isn’t difficult, and the visually striking pattern mixes available will introduce character and personality into any area. 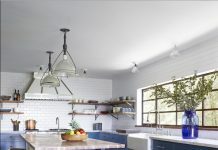 Where to use picture perfect patchwork tile designs? We have a few ideas in mind. 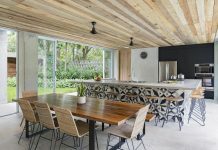 Patchwork tile can be used for anything you desire, including creating a happy colorful place where family and friends can eat, play and be together. We’ve seen flashy patterns selected to tell the story, and beautiful ornate Moroccan-inspired mixes which use bright colors and swooping lines to give visual interest. 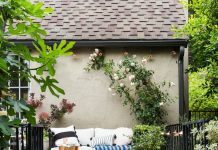 Color features heavily into the look of patchwork tile creations, and you can opt for anything that suits you such as bright blues or soft pastel yellows to play off your existing decor. Patchwork tile creates a warmth and beauty unlike any other floor treatment. 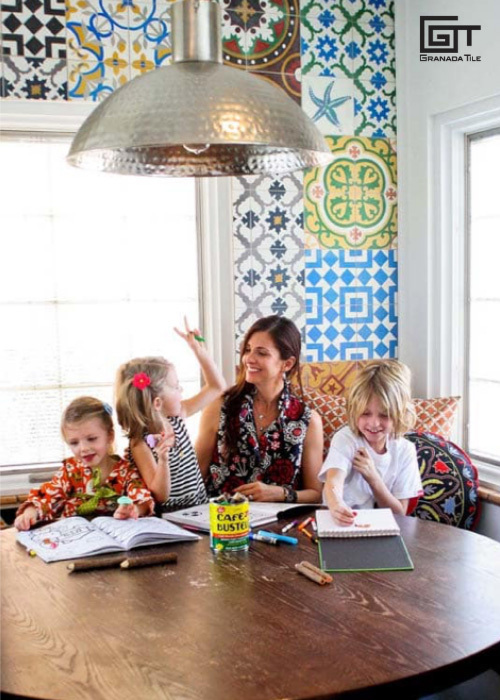 Select colors and patterns which share a common theme like our Serengeti and Badajoz cement tile. The floor of a kitchen can take a lot of abuse, and a patchwork does double duty. By providing a great look, it also can hide a lot of little messes until house cleaning day rolls around. When a colorful patchwork floor like this is the focal point, no one will notice a tiny spill. The center room of a business is not usually the place for tile. We don’t understand why not! Livening up your central hub with a faux ‘rug’ made of patchwork tiles can introduce color in unheard of ways. Striking wall accents which feature pastel hues can soften a room, and bright colors can draw the eye to a particular area or create a separation of space in a showroom. 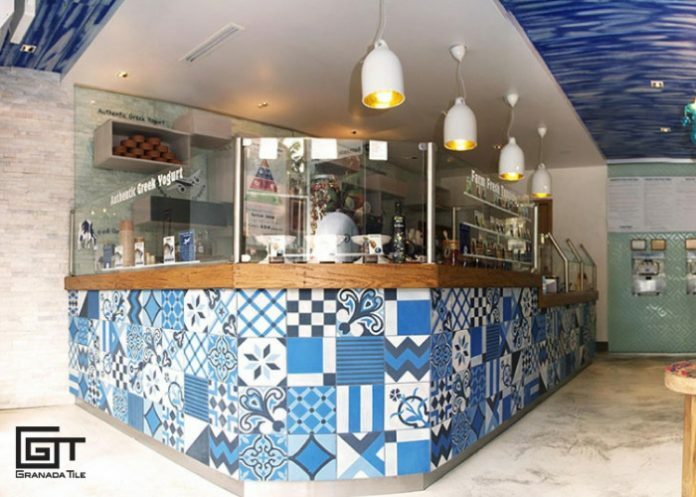 Businesses can also amp up their look by lining their counter and case lines with patchwork tile. Patchwork tile is also fun in the bar. 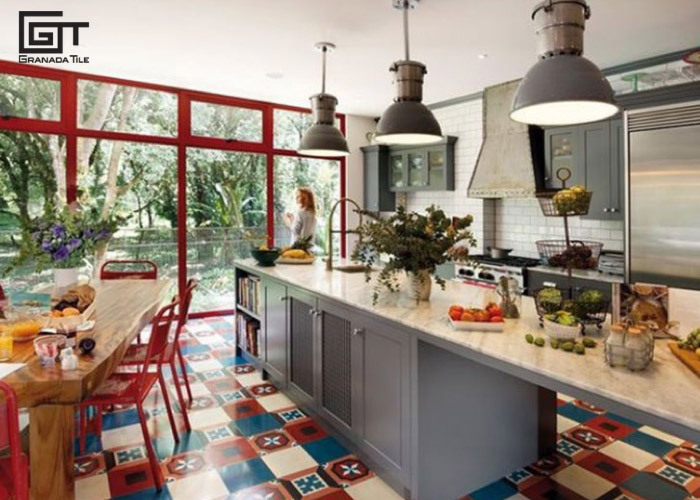 Bright colors and unique patterns showcase personality without sacrificing style, and the trend of patchwork tile designs incorporates all the best tiles into one look. You no longer have to choose – you really can have all the tile you love in one place!